Many employers are realising the benefits of getting their prospective employees ‘checked’ to see if they are fit and healthy, are physically able to do the job required, and to see if they are likely to have medical problems during their employment. 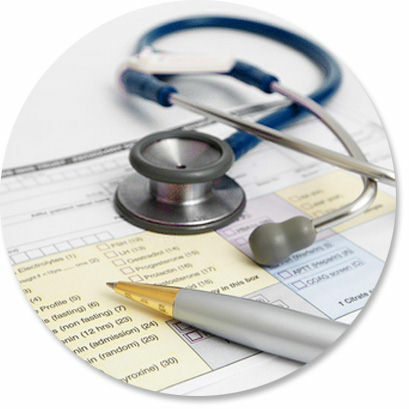 Appointments are required for all Pre-Employment Medicals. After the medical is complete and the results of any X-Rays and/or pathology testing is complete, we will supply the employer with a detailed evaluation of the employee’s condition, and any limitations that they may be faced with. Alternatively, we can just supply a certificate indicating if the employee is ‘fit’ or ‘un-fit’ for the selected position. Why get a pre employment medical? Employee ‘John’ had a previous back injury from playing football in his younger years. During normal duties John bent over to pick up a piece of metal and upon rising, his back caused immense pain and he required medical attention. Company A had performed no employment related health checks on John and were unaware of his previous back injury. Company A sent John for medical treatment, which required seeing a doctor 3 times, getting 8 sessions of physiotherapy, 1 week off work and 3 more weeks on restricted duties. As this happened at work it was classed as a ‘work injury’ and came under the employers workers compensation policy. The medical costs alone amounted to $700. The loss in production due to John being off work and on restricted duties amounted to thousands of dollars. Company B had arranged a pre employment medical on John before he started with the company. The pre-employment medical highlighted the fact that John had had a previous back injury. Company B had therefore instilled restrictions on John so that he did not lift items heavier than 10kgs. John has been working at the company now for 3 years and has had no problems with his back. The above example highlights the huge costs that can amount to such a simple injury. This can prove extremely costly to employers and on many occasions could have been reduced or even totally avoided. For the small cost of a medical checkup, thousands of dollars can be saved.